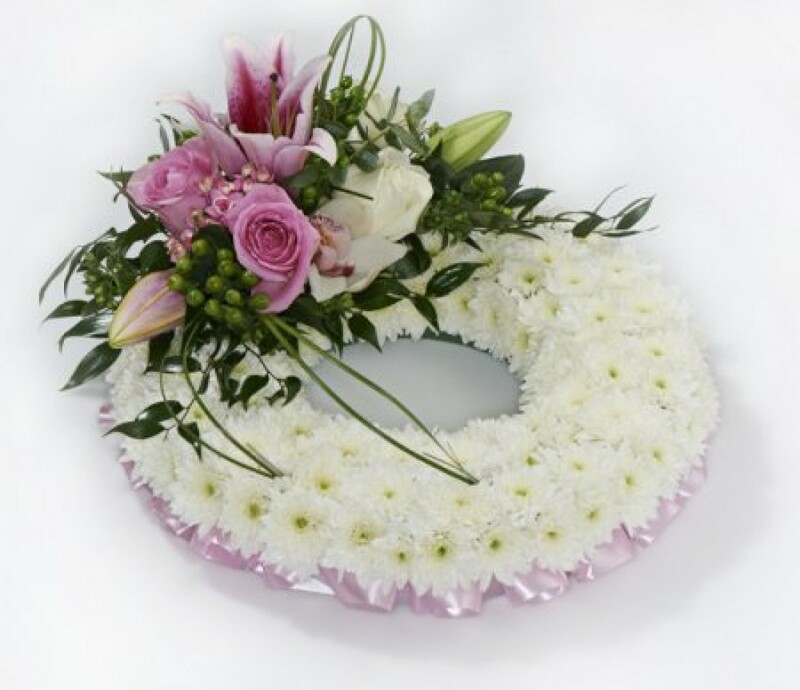 Flowerscene offer this based funeral posy with white double chrysanthemums, a pleated ribbon edge and a matching flower cluster to finish the design. The colour of ribbon edge can be changed for one that you prefer and the cluster would be co-ordinated to suit your colour choice. Please inform us of any changes when ordering or call Flowerscene on 01224 712596 to discuss your requirements. Flowerscene are delighted to offer this funeral tribute for delivery in Aberdeen and surrounding areas. A wide variety of colour combinations are avaliable for this design. This tribute can also be used at a time of rememberance.